Reese’s Cups have been part of my life since I started spending my $2 weekly allowance on a king-size pack of the chocolate peanut butter rounds at the local bowling alley when I was in second grade, but Reese’s isn’t content to sit around in my memory all old-fashioned and status quo and whatnot. Unwilling to fade away into obscurity, Reese’s is catapulting its candy back into cultural relevance with two new varieties that are making me slobber all over my keyboard as I type. First, we have Reese’s Chocolate Lovers cups. These tasty sweets upend the usual chocolate-to-peanut-butter ration, with an extra-thick layer of chocolate encasing that sweet, salty, irresistible peanut butter filling. 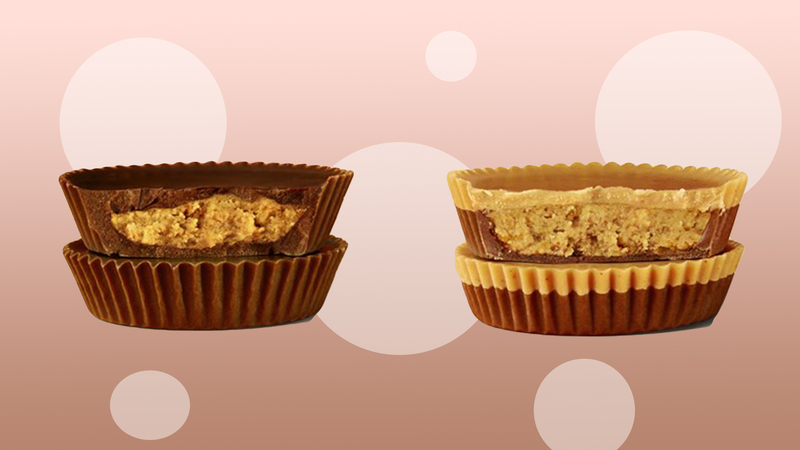 Second, there are the Reese’s Peanut Butter Lovers cups, perfect for those of us who spent long hours as a child painstakingly eating all of the chocolate off of the peanut butter center so we could have one perfect bite later on. These cups replace the top layer of chocolate with a peanut butter shell, so you get more of the peanut butter flavor you love on first bite, without any elaborate maneuvers needing to take place. If you ask me, it’s about time Reese’s played with their ratio a bit. Just look at Oreo, which has stayed relevant by introducing their cookies in every flavor under the sun, then tweaking the amount of filling and cookies so that we have items like Oreo Thins and Most Stuf Oreos sitting next to each other on shelves and just generally blowing minds and confusing taste buds in grocery stores around the country. Adding more chocolate and more peanut butter is hopefully just one of many delicious moves that Reese’s has up its sleeve (their Reese’s Thins were not met with much excitement, because we want more candy, not less!). Reese's Thins are a crime. The chocolate to peanut butter ratio is all wrong. The new cups will be available in regular and king size (and let’s face it, they always taste better in the king size pack) beginning in mid-April, just in time for Easter, aka the last chocolate holiday until Halloween. If you’re reading this, Easter bunny, you know what I want in my basket!